“Despite primary agricultural produce being essential for the livelihood of every person, it doesn’t yield profits for the farmer. Why does this happen?” questions Vishala, a chartered accountant with the determination to repair the condition of the farming sector. Vishala (AKA Vishalakshi Padmanabhan) had been working in the corporate sector for four years before she decided to take a different path – one which aligns her work with her passion. She identified that the agricultural sector of our country needed an overhaul – a system which uplifts the farmers and benefits the consumers as well. “We keep hearing news about farmer suicides due to financial incapacity or lack of irrigation facilities. When somebody is actually growing or producing something which we require on a daily basis while struggling to meet their own ends (and the fact that their situation is worsening), this implies that a huge gap exists somewhere which needs to be filled at the earliest. 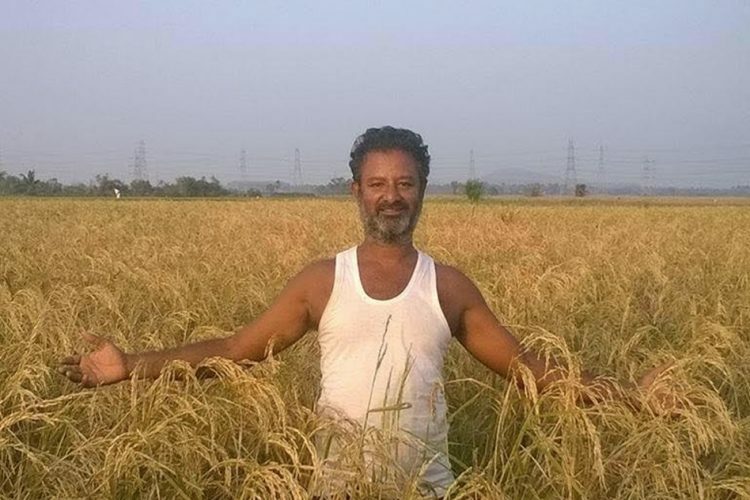 We are not working together, hence the farmers’ troubles are not decreasing,” said Vishala while speaking to The Logical Indian. 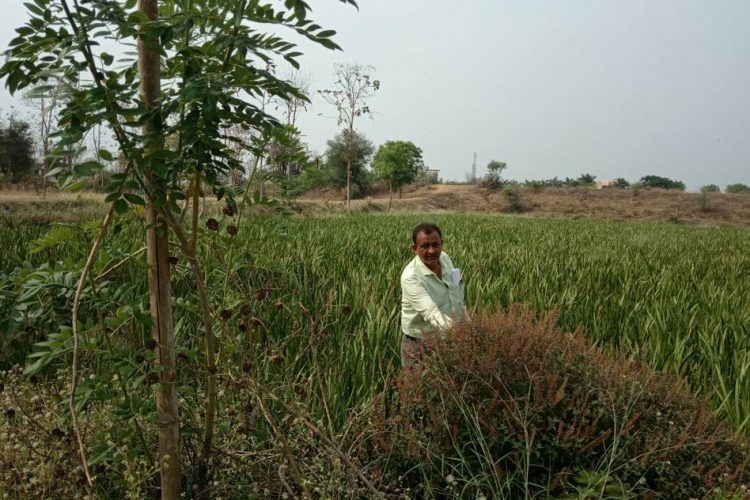 This is when Vishala came up with a system – an organic farming collective which would benefit all the stakeholders involved – the farmers, the consumers, and the environment. Buffalo Back, is a farming collective which aligns the needs of the urban with the traditional knowledge of the rural. 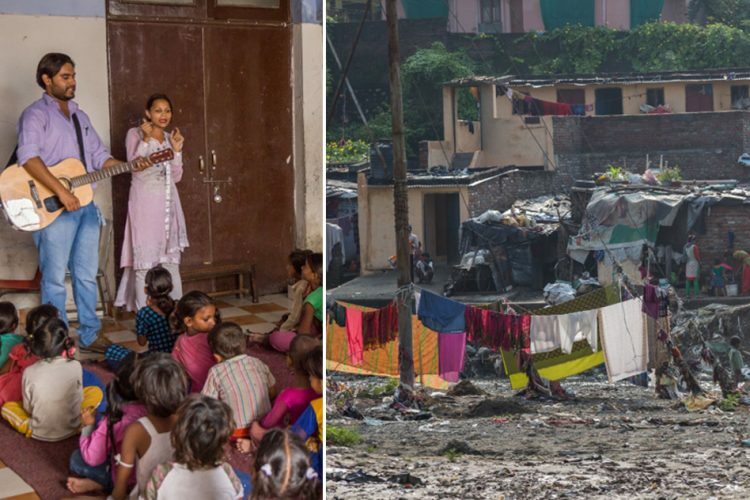 “It is a platform where people take ownership of what they do – there is no hierarchy and each individual maintains the sustainability standards of the collective,” says Vishala. 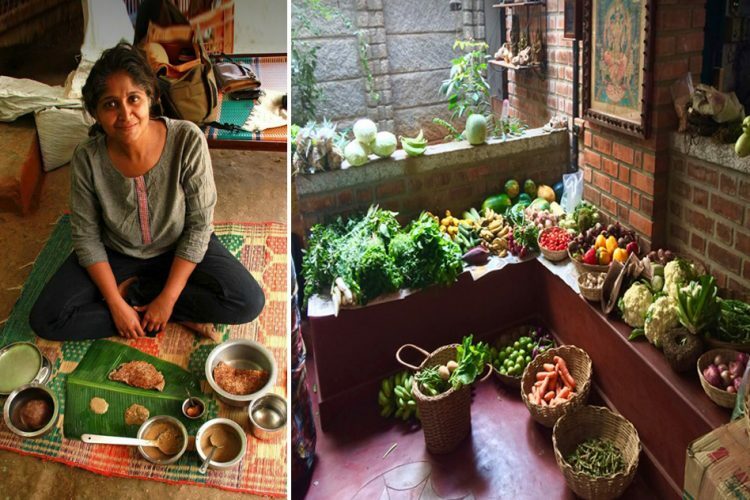 With 9 years of experience in farming, Vishala works out of her farm in Bannerghatta forest, 40 km from Bengaluru, Karnataka. The collective has no investors and functions with the help of a land initially purchased in Bannerghatta forest. In this regard, the Buffalo Back works with farmers on a cooperative or a self-help format, depending on the situation of a particular village. The business model is such that each person is accountable for their work throughout the production and distribution process. Each person takes ownership of their job. For instance, the village where Vishala farms has only sixteen families. Since it is located in the elephant corridor, there is not much scope of agriculture. But the women of the village work in self-help groups where they farm in their backyards. Sometimes, small NGOs also offer help. All groups involved at any stage in the process are familiar with the idea of safe food. The processing is done in such a way that the output is high in nutrients, with no depletion of resources in the process. “We complete the cycle by educating the farmers about prevention of waste, as half the food in the world is wasted during production. We have created a model where everything is sustainable, local and waste-free,” said Vishala. How does Buffalo Back ensure waste-free agriculture? Since Vishala’s village is located in the elephant corridor, the women mainly grow greens in their backyards as cash crops would be destroyed in elephant raids. To ensure that crops are not damaged, the women chiefly grow a variety of native greens as they are sturdy and remain fresh for at least two days after harvesting. Additionally, minimal wastage is ensured by using the damaged vegetation for purposes other than consumption. For instance, the plant ‘Bringraj’, is used to make hair oil when its leaves are damaged. 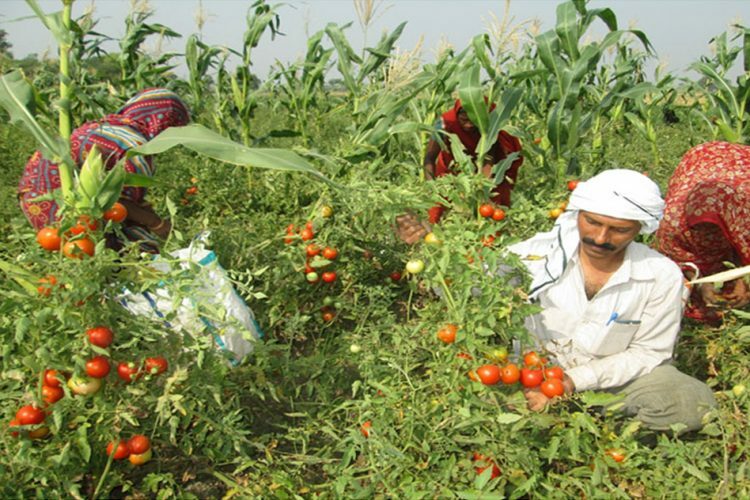 This is a continuous process as farmers are educated at every step. 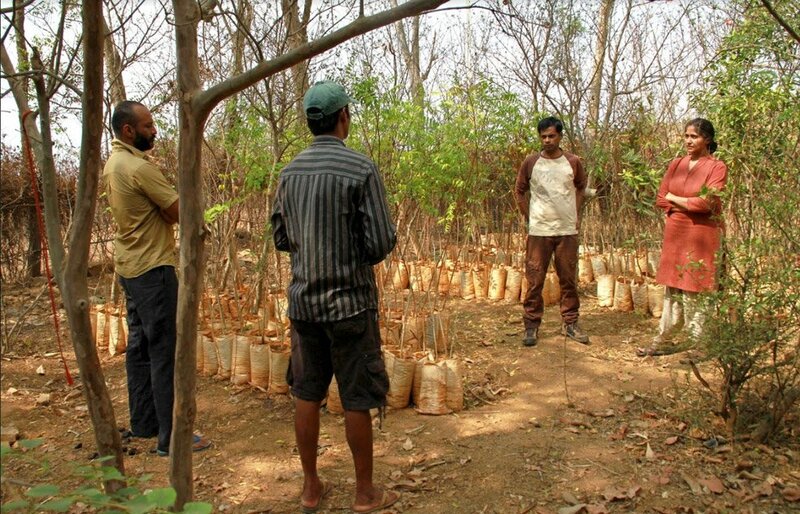 Depending on the condition of a particular village, different waste-free farming techniques are implemented. As the lifestyle of the urban population is largely different from that of their rural counterpart and they have a cosmopolitan outlook, they do not consume traditional food easily. Buffalo Back has innovated ways to suit the produce according to urban needs. For instance, the vegetable ‘drumstick’ is not popular in urban areas. Farmers frequently sell it at a low cost to annul the stock. However, the collective came up with the idea of an alternative use of drumsticks where the vegetable can be harvested at a specific time, split open and the seeds can be sun-dried to make them pop similar to popcorn. With the help of a simple procedure and no use of additives, healthy food is produced for the consumption of urbanites. Since the past three months, Buffalo Back has been aggressively targeting the urban market. After 5 years of groundwork, planning and understanding, its produce is directly sold to the market by linking the collective to it. However, a large portion of the consumers still remains ignorant of the benefits of safe food. In this regard, the primary focus of Buffalo Back is ‘Consumer Awareness’. “Since the past one month, the weather of Bangalore has fluctuated from hot to unbearable. 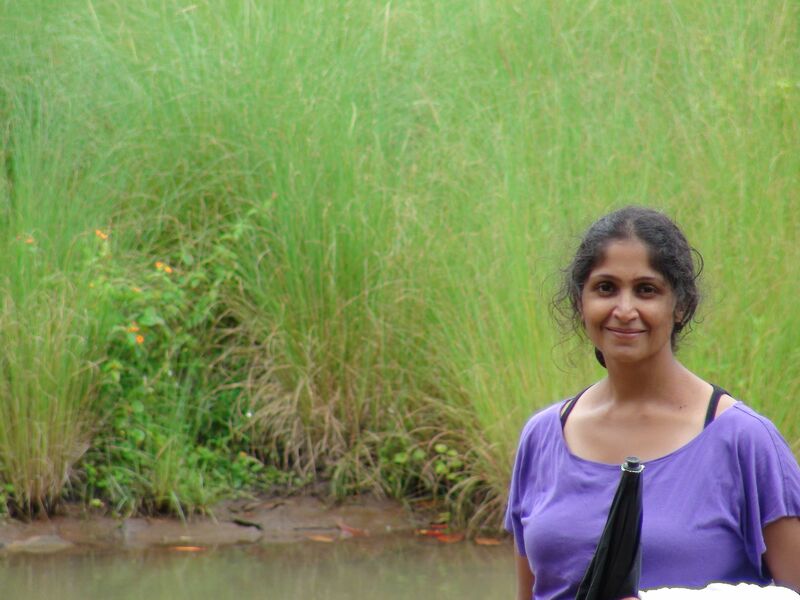 This is the right time to educate people on the importance of sustainability”, said Vishala. The collective has various campaigns to make people aware of the smallest actions that can cause a major change in their lifestyles while benefiting the environment. 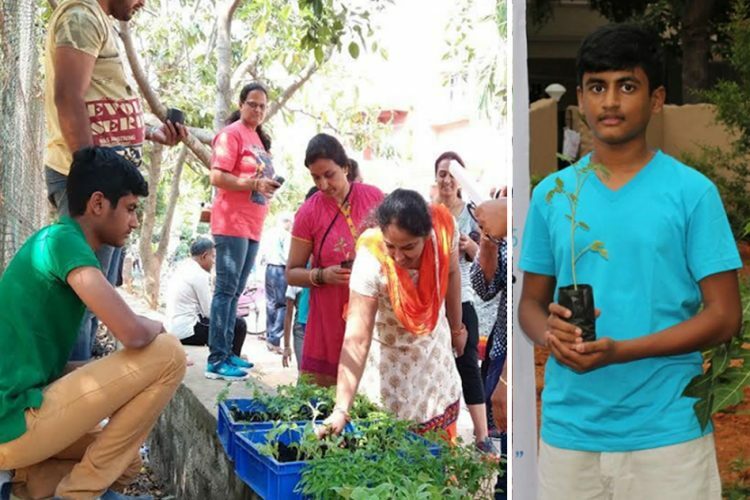 “In today’s world, we are bombarded with global information and people need to be educated of the various kinds of safe food they can grow in their own backyards,” said Vishala. 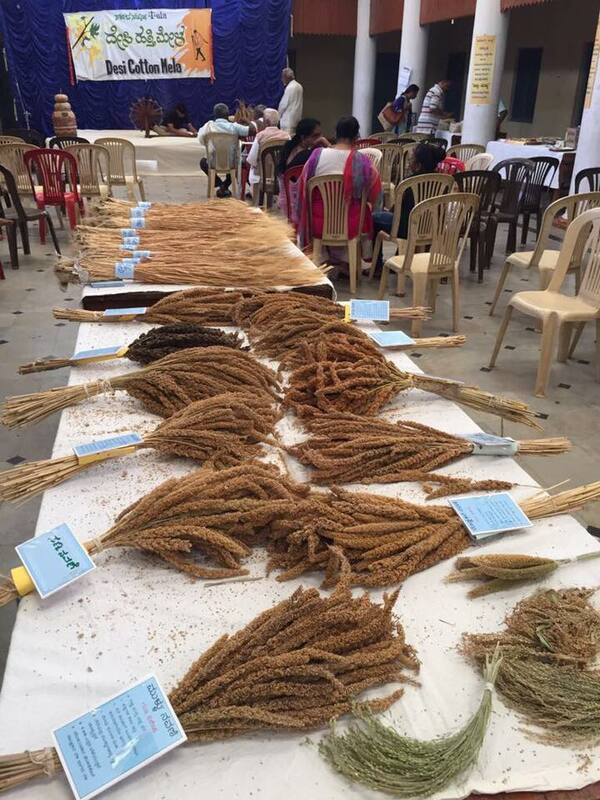 Under the campaign ‘Roots to Grains’, suggested by Anil Annaiah, the collective is making people aware of traditional grains — educating them about their roots. “There is a lot of food available in the ground, however, people remain unaware of its existence. 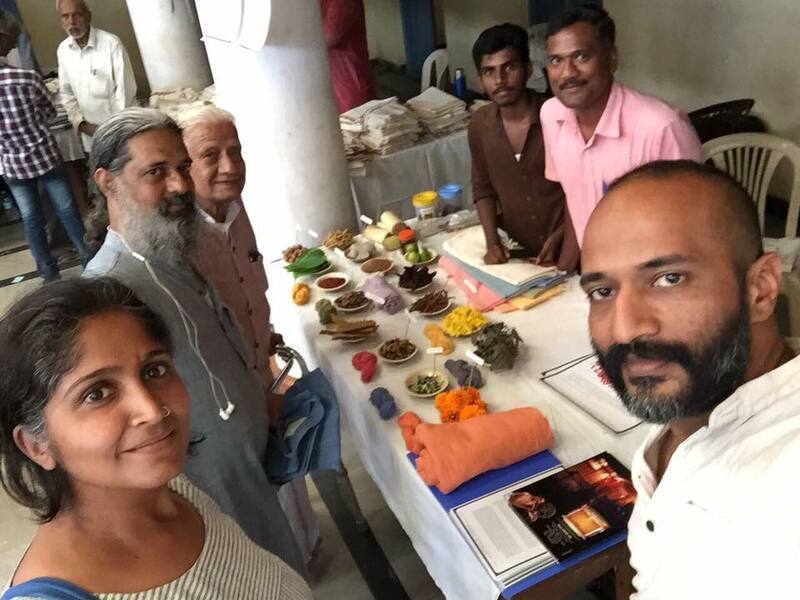 Such food is much more healthy and nutritious than the super food we are so accustomed to consuming”, says Vishala. 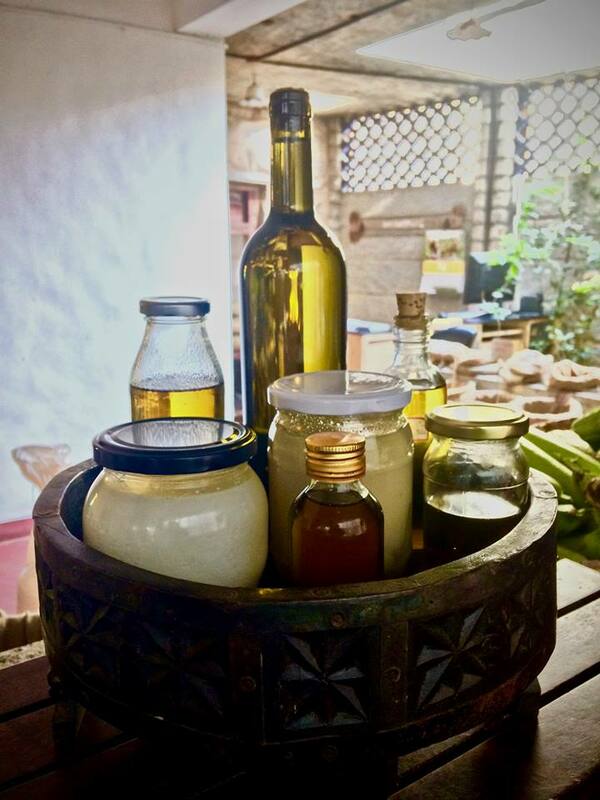 Identifying that human beings have a DNA-level connection with the food around them, Vishala realised that people need to be made aware of its benefits. The Roots to Grains campaign works in this regard. As a replacement for plastic Buffalo Back only uses gunny bags to store its produce. All sale is also concluded in handmade cane baskets, cloth bags, pouches, glass bottles and paper bags, all of which are returned after delivery. “The muri (puffed rice) we had stored in gunny bags was getting softer. We got the feedback from everyone to use plastic containers to prevent moisture from spoiling it. But we didn’t want to use plastic, and steel containers are expensive. Such problems are common when we aim to achieve sustainability. However, the public has been greatly supportive to our cause. Just last week, I sent out a mail to everybody saying that we needed storage containers and we were able to procure 22 big containers without any investment of our own,” said Vishala. The motive behind this initiative is to educate people about the various alternatives to plastic which cause no harm to the environment. 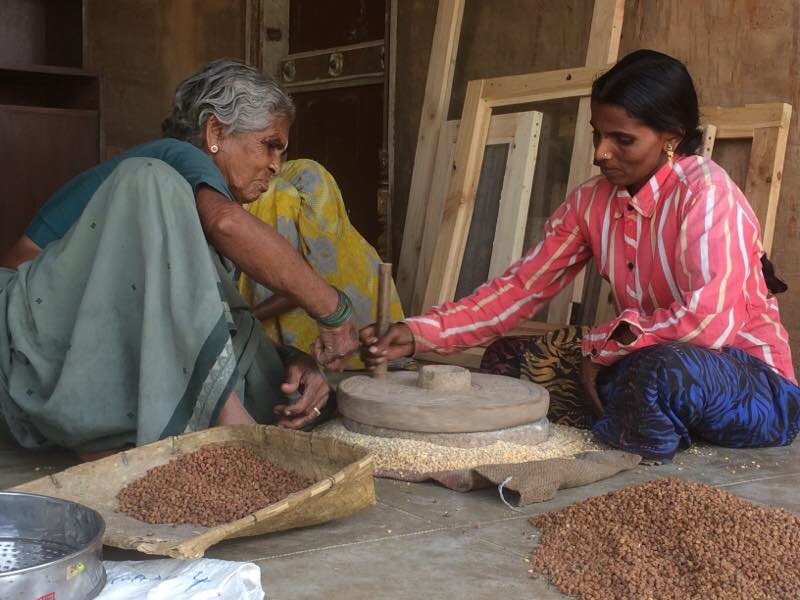 “Even if people go to a nearby kirana store and carry their own little bag instead of requesting for plastic packets, we consider ourselves successful,” says she. 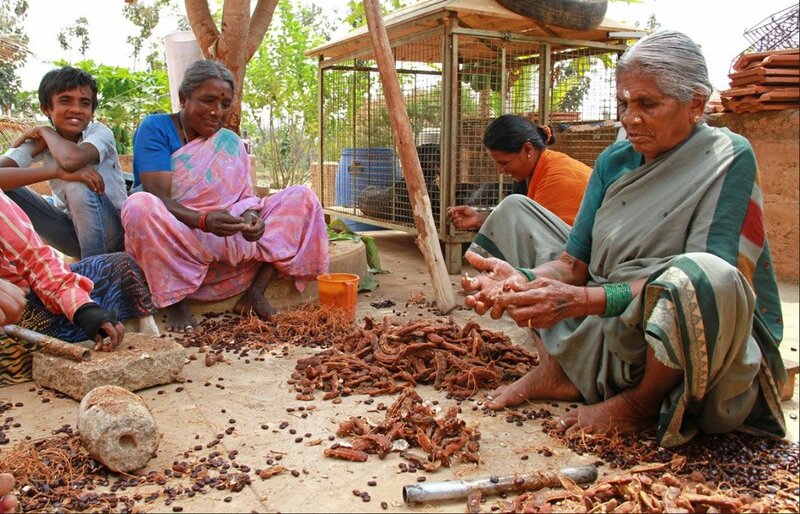 Vishala has dedicated her life toward the well-being of farmers and consumers. The Logical Indian community extends its gratitude to Vishala for taking over a cause as important as sustainability. Her work in organic farming is commendable and we hope that she succeeds in making each and every person aware of its benefits. To know more Buffalo Back visit their Facebook page here.